Healthcare organizations like the benefits of print release (pull print) solutions as it improves confidentiality (HIPAA) and lowers costs. However, in exam rooms there are issues that make pull-print (print release) solutions impractical. 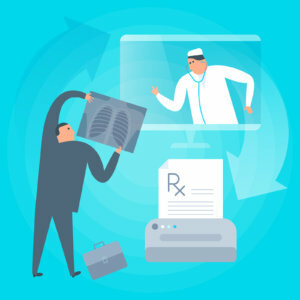 Doctors may not always be available to release their own print jobs and the “surrogate” concept can be difficult to administer. Plus Technologies has improved its My-Print-Delivery (MPD) pull-print solution to overcome this issue. Plus Technologies is proposing a new variant of print release (pull print) that solves these issues. 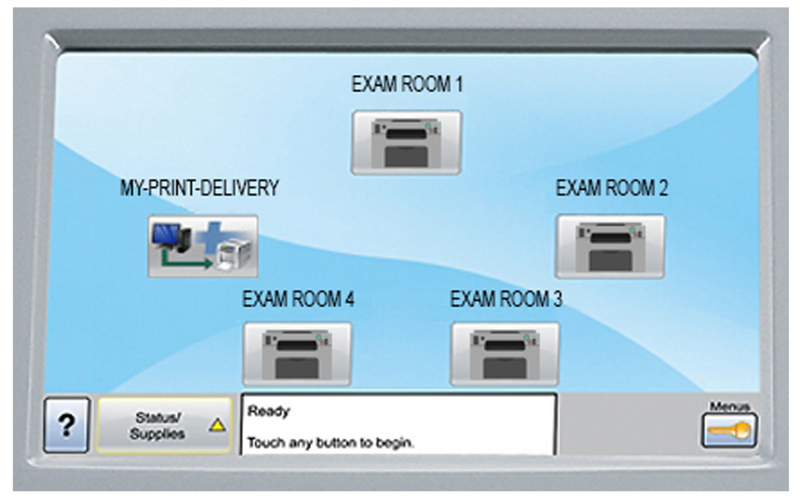 Moreover, Plus Technologies is proposing a new version of OM Plus My-Print-Delivery (MPD) pull-print software specifically for Exam Room environments. Furthermore, this new version does not require the doctor to release their own print jobs and overcomes the surrogate issue. OM Plus My-Print-Delivery (MPD) software is Plus Technologies solution for pull printing. This type of solution is also called by other names such as print release, pull printing, follow-me, or find-me printing. The idea behind the concept is to improve printing efficiency by holding user documents in the print system until the user releases the document while physically at the printer or multifunction device itself.